The Greatest Game – Horace Orr Post 29, Inc. 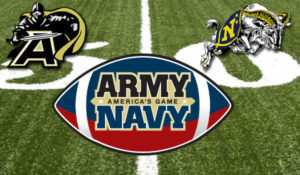 The Army-Navy football game is a national treasure. Join us in the Social Quarters on Saturday December 8th for this great event. We’ll have a very special treat and party for you to enjoy as you watch the game. Kickoff is 3:00pm. Tailgate dishes to share are appreciated.